Luis Enriquez Bacalov was born in Argentina and now lives and works in Italy. He has composed the music for numerous Italian language films, including some early Spaghetti Westerns where he followed the work of Ennio Morricone. He is also an accomplished pianist and has recorded some of the classical piano works of Nino Rota. 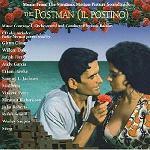 Although it was released with subtitles, the composer's academy award-winning music for "Il Postino" (The Postman) put his work firmly on the map as far as English-speaking countries are concerned. The score has more or less one single theme. Yet arranged for different instrumental groupings (with accordian often playing a central role) and with a varied accompaniment it always seems fresh and new, a thoughtful comment on the touching story of the postman. In a way this style of film-making and music is reminiscent of Morricone's music for "Cinema Paradiso" or Nicola Piovani's "Life is Beautiful", and refreshingly far removed from the standard offerings frequently emerging from Hollywood. 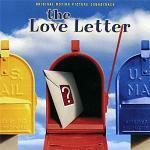 Another film score by Bacalov in a similar vein is "The Love Letter" which has a great Tango theme. Along with Morricone, Bacalov has had some of his music used by Quentin Tarantino on the "Kill Bill" films, including his music from "The Grand Duel" and "Summertime Killer" both dating from 1972. 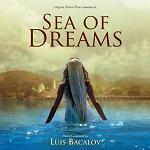 The recent "Sea of Dreams" is very dreamy with pan-pipes and slow melodies like some of Morricone, though it has similar Mediterranean instrumental references to "Il Postino". There are some vocals and a brief moment of darkness, but the majority of this score could be described as pleasant and beautiful. 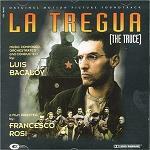 Being Argentinian by birth, it is no surprise that Bacalov has an affinity with the Tango. He has composed several Tangos and these can be found on various albums. For example there is the aforementioned Tango in "Love Letter" and Bacalov also scored "Assassination Tango". A new soundtrack album released by Music Box Records celebrates some of Bacalov's contributions to French cinema during the 1980s. 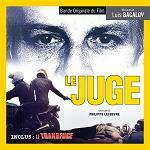 The album features "Le Juge" (The Judge) a crime drama with some previously unreleased music from the film, and "Le Transfuge" (The Defector) a spy drama released here for the first time. 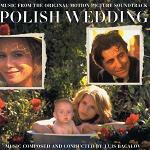 The soundtrack album is available from Amazon.co.uk or via this page at the website of Music Box Records. 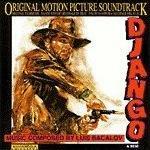 Bacalov's "Django" and other tracks by the composer, plus music by Ennio Morricone and Jerry Goldsmith, were used by Quentin Tarantino on his soundtrack to "Django Unchained" although (despite the title) there is little in common between the movies. Here is a youtube video of Luis Bacalov playing his theme for Il Postino. 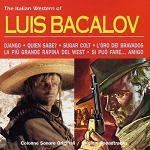 Bacalov scored the original "Django", a film about a gunfighter with a machine gun in a coffin. There were many sequels using the name Django though most of these were unofficial movies made by other filmmakers. Bacalov scored one of these sequels "Halleluja for Django" and others were scored by another famous composer of Spaghetti Westerns, Piero Umiliani. Yet another sequel called "Django, Prepare a Coffin" scored by Gianfranco Reverberi provided the distinctive bass-line and chords used by Gnarls Barkley in the song "Crazy". Kill Bill: Volumes 1 and 2 - volume 1 used the title music from "The Grand Duel" and volume 2 used music from "Summertime Killer"
Bacalov has also provided music for a number of TV series and movies for Italian television, the latest being "Caravaggio" in 2007 which has had a soundtrack release.